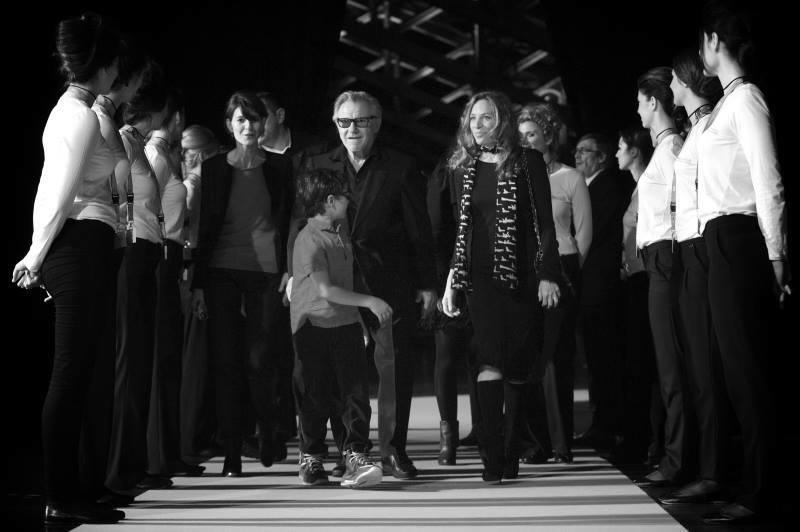 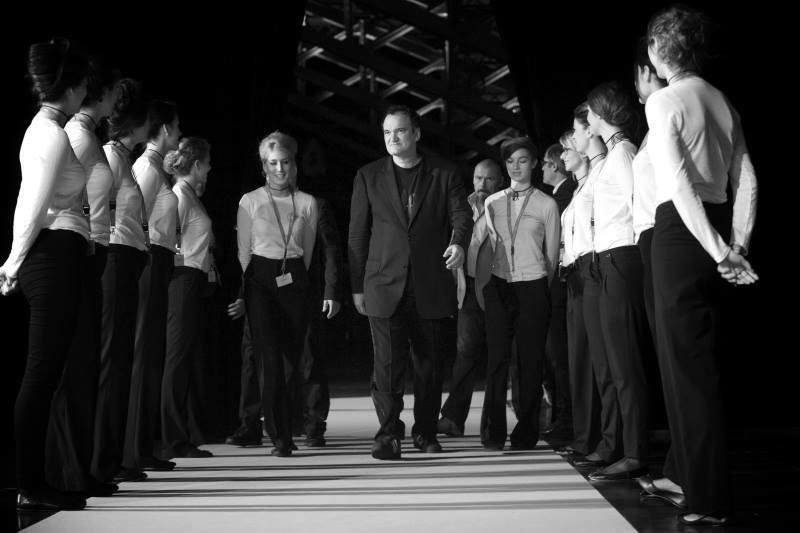 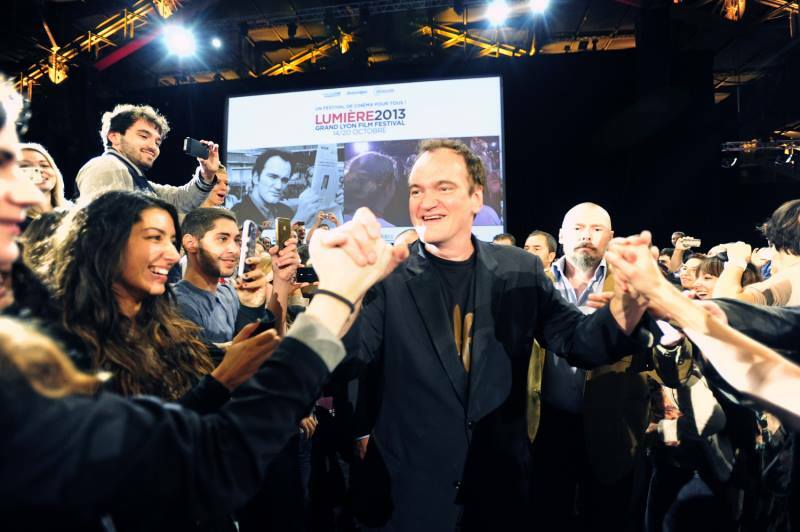 Actualités - Quentin Tarantino beautifully closes out the Lumière festival! 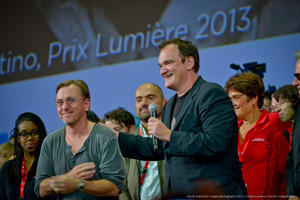 Quentin Tarantino beautifully closes out the Lumière festival! 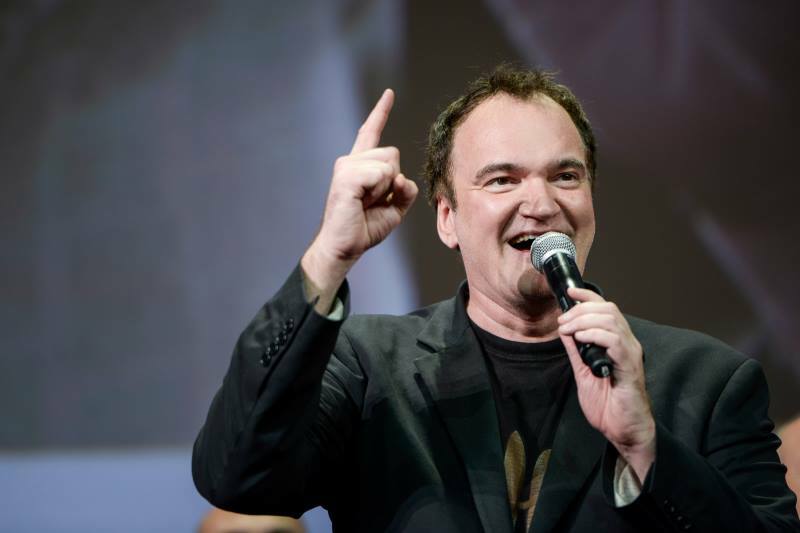 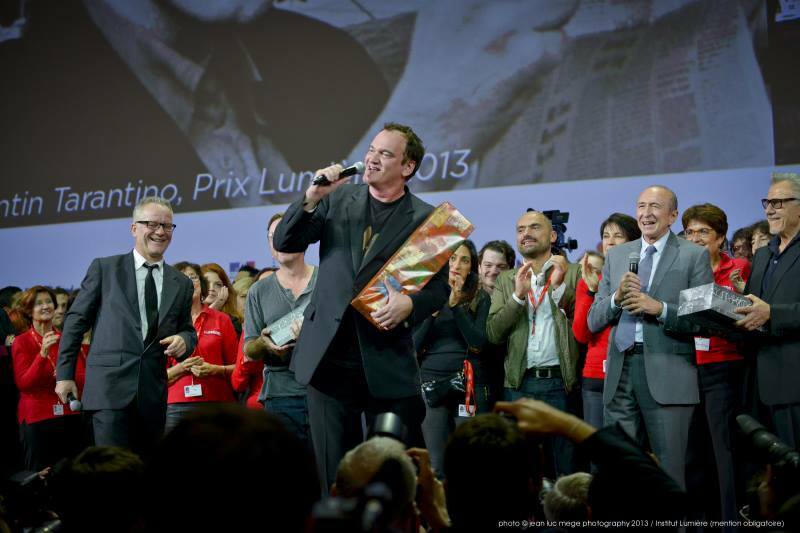 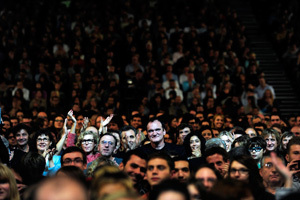 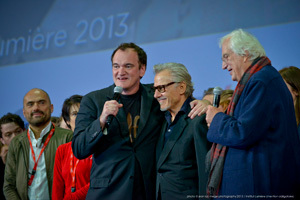 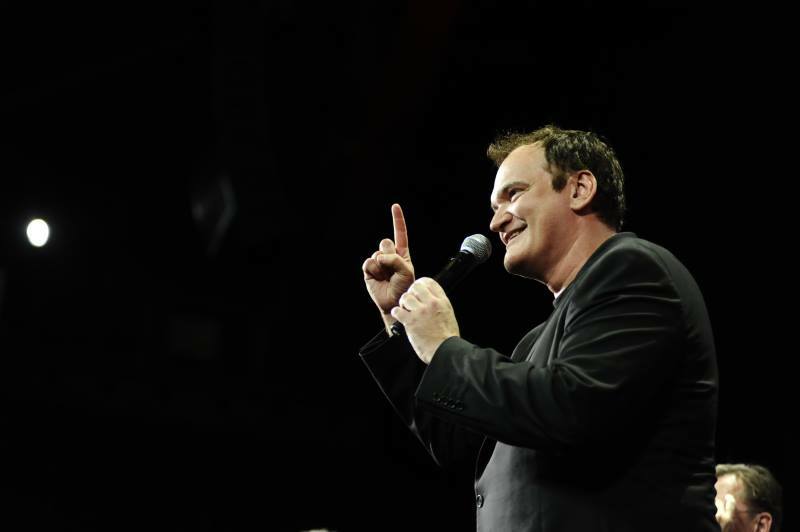 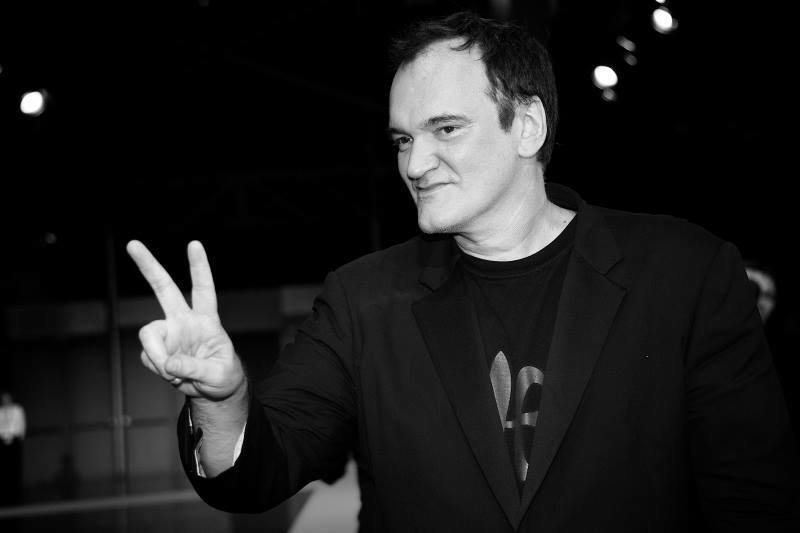 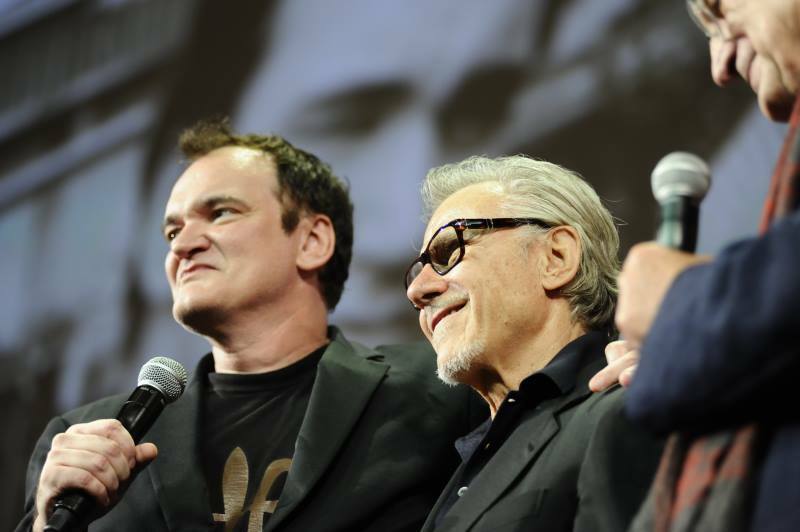 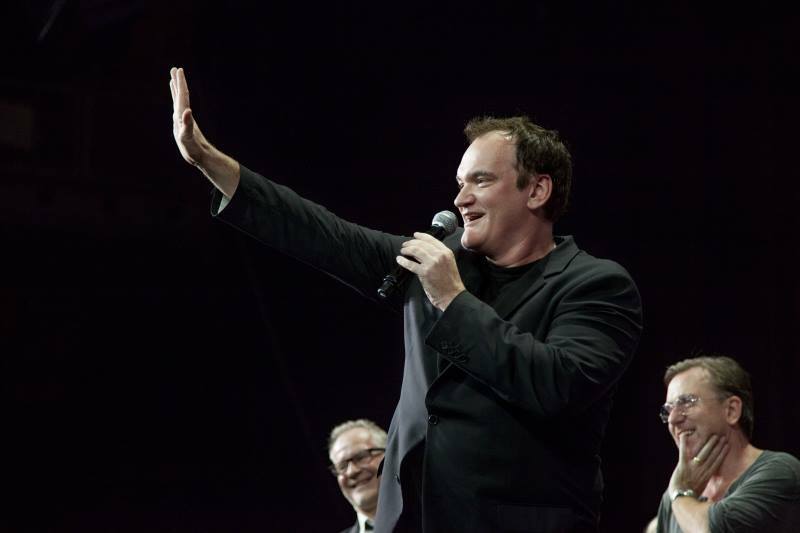 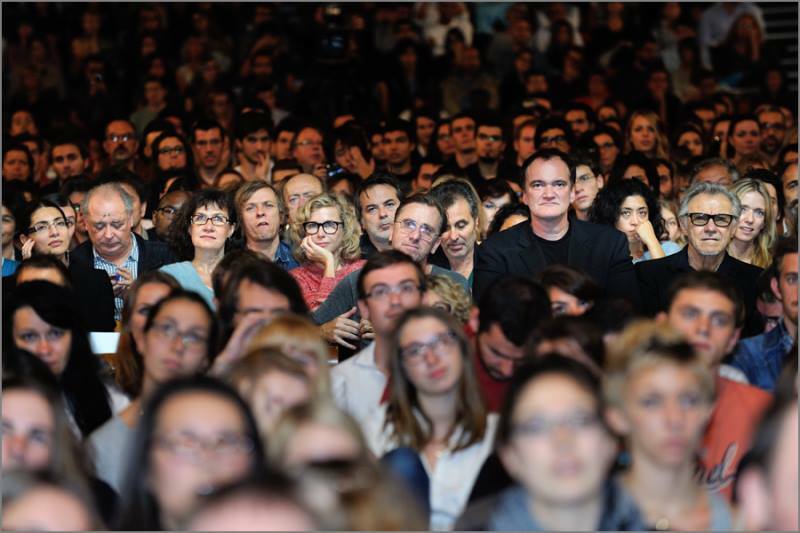 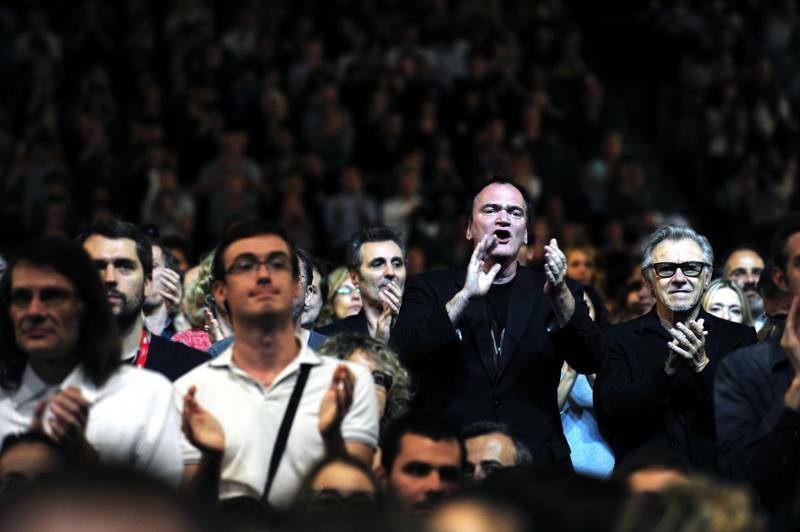 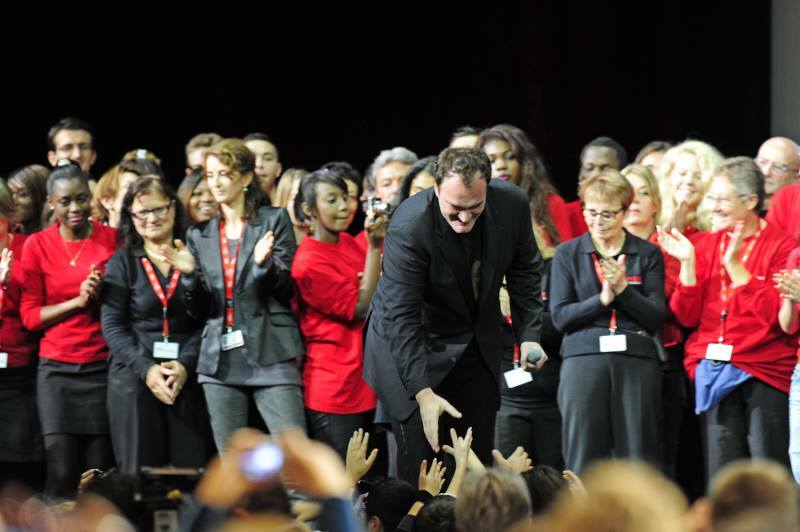 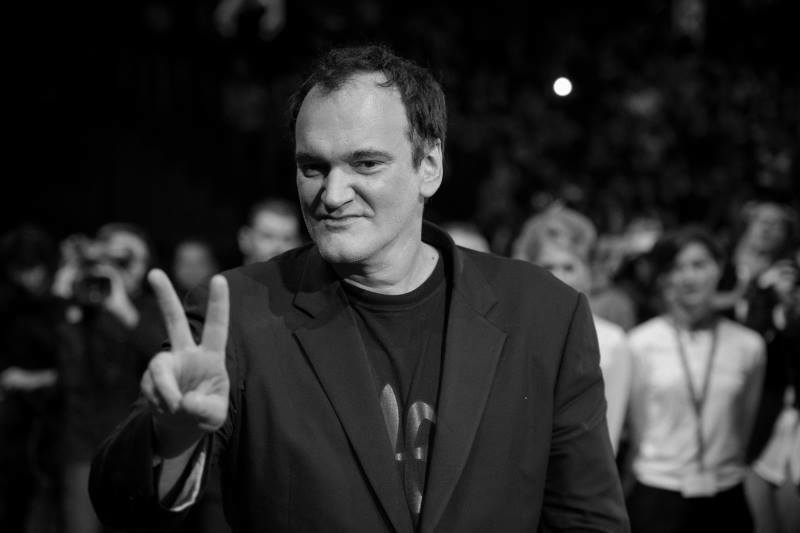 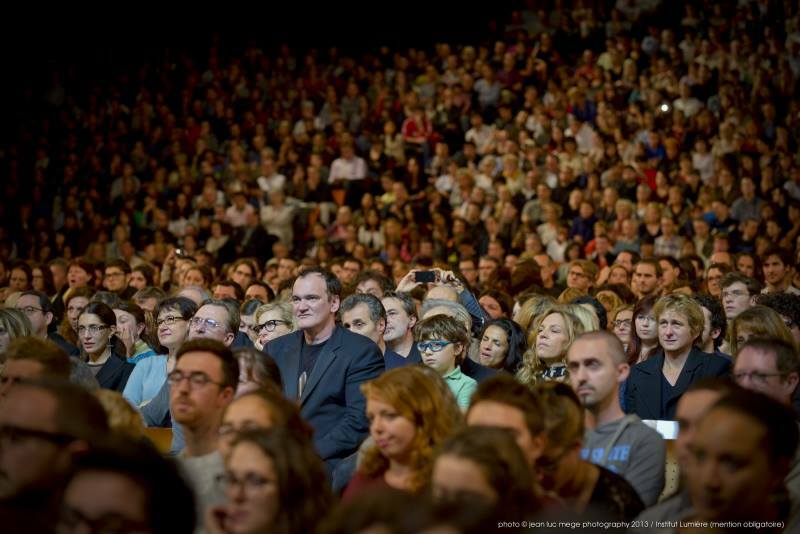 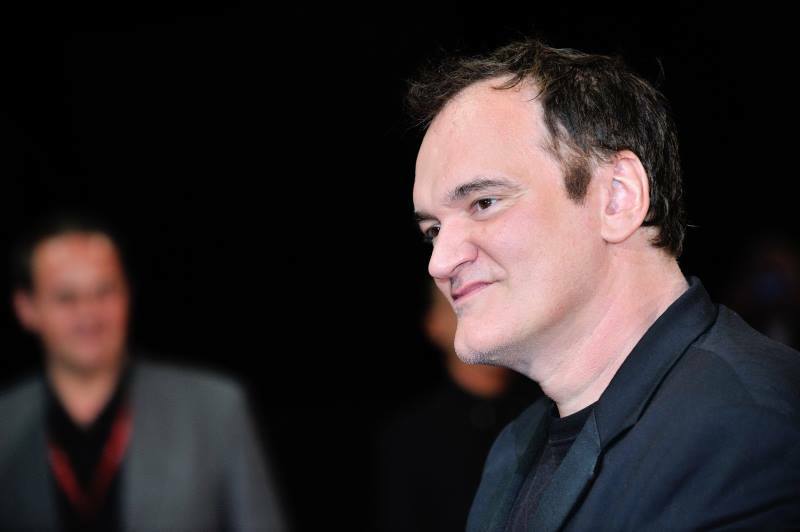 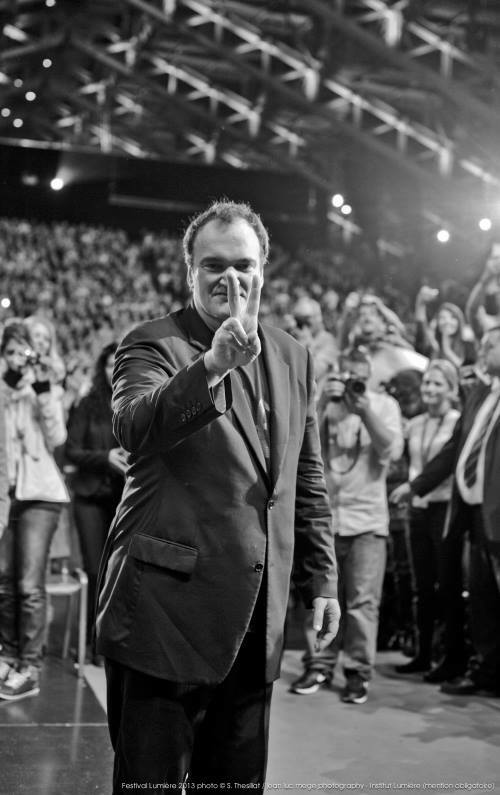 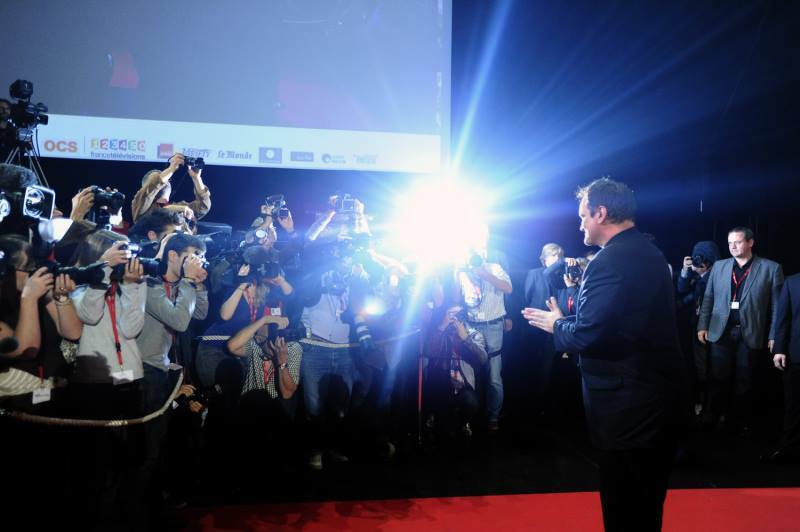 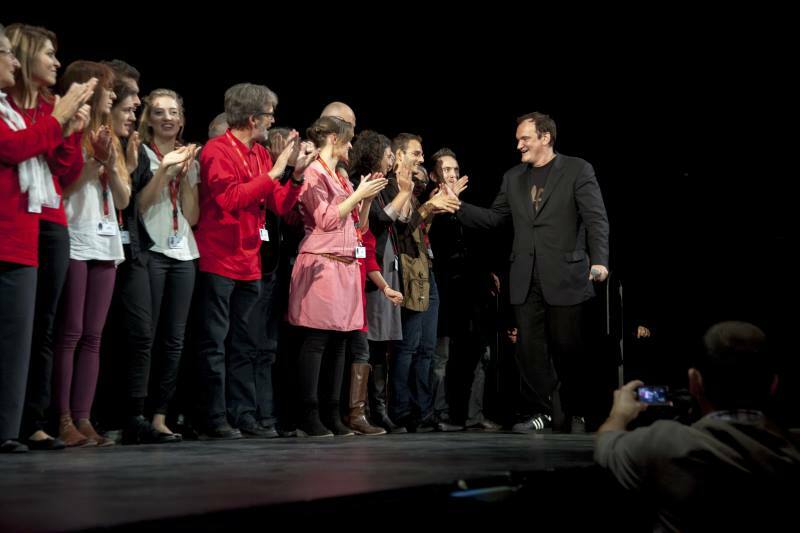 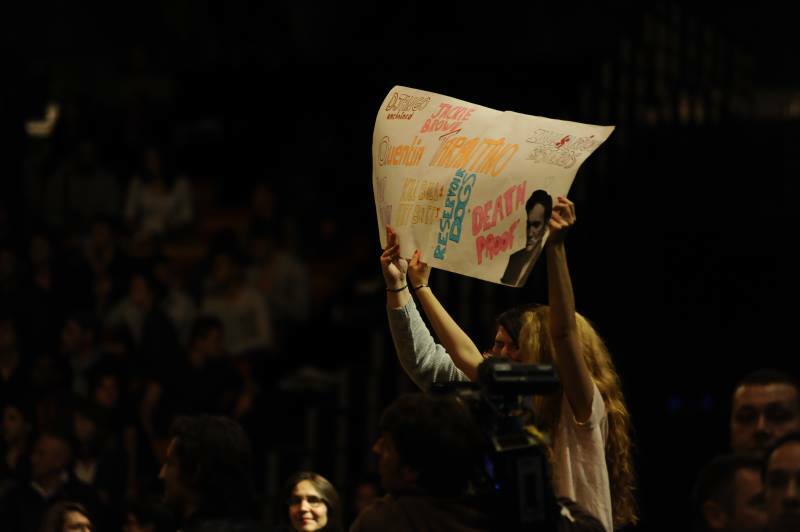 Quentin Tarantino expressed his heartfelt thanks to Lyon and the Lumière festival. 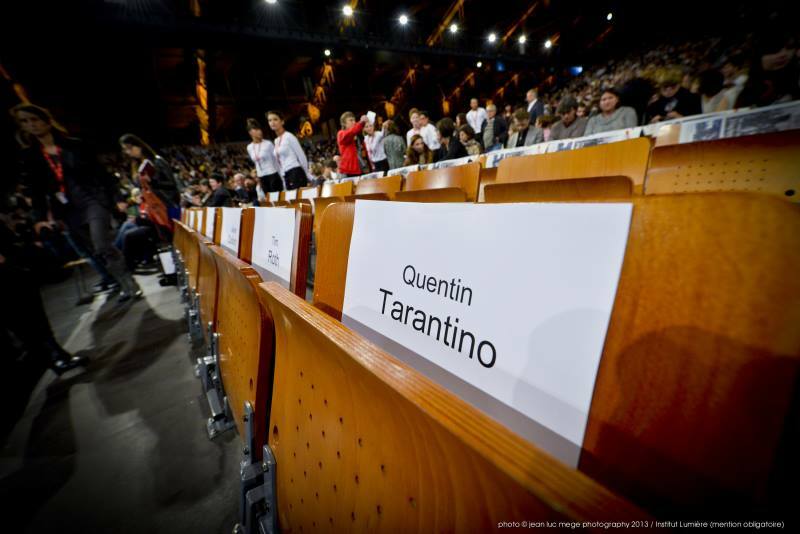 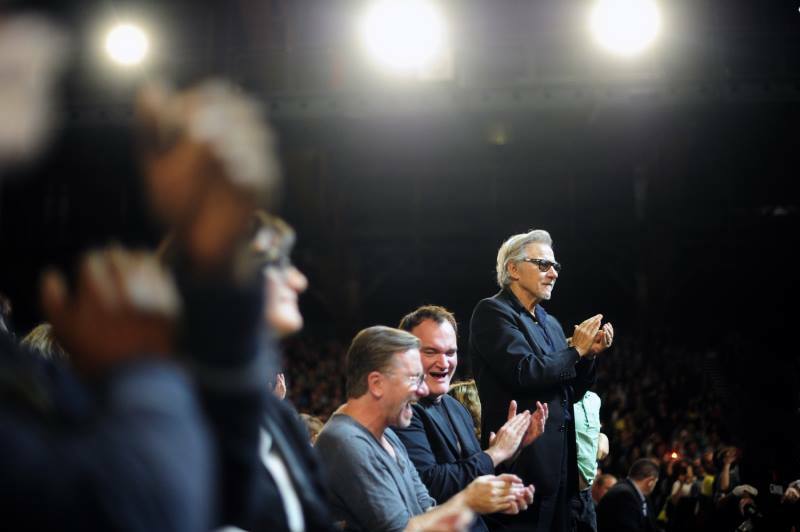 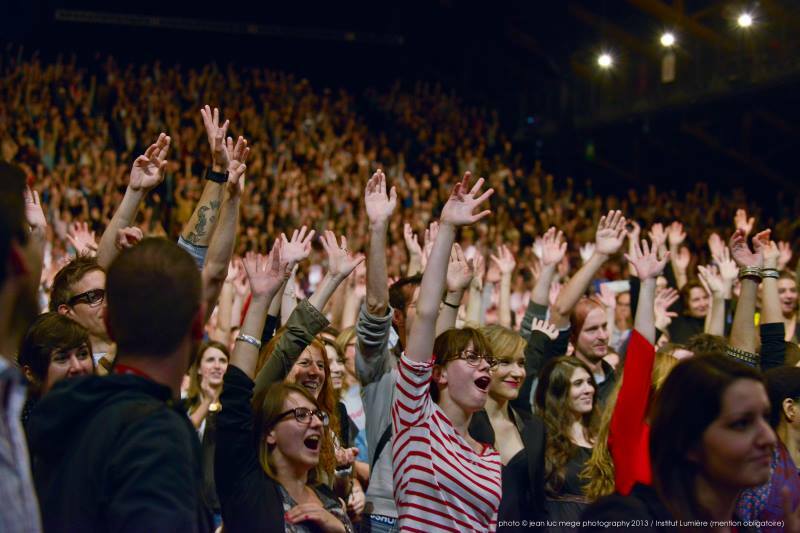 Charged by the Tarantino aura, a positively electrical Lyon audience went completely wild for the Lumière Festival 2013 Closing Ceremony, last night at the Halle Tony Garnier. 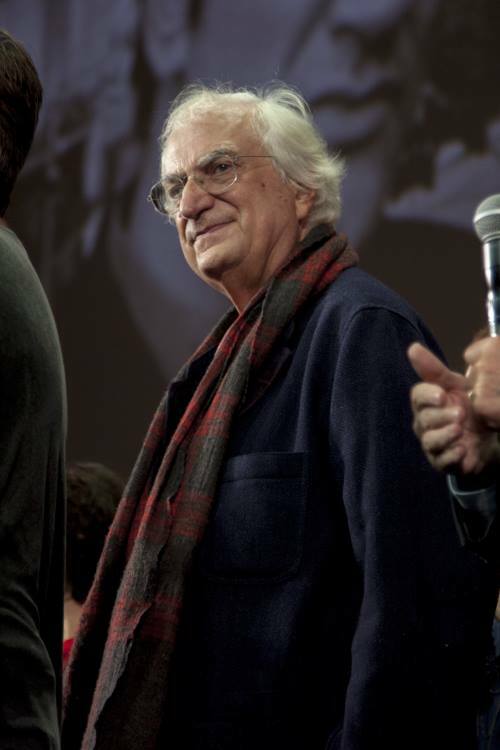 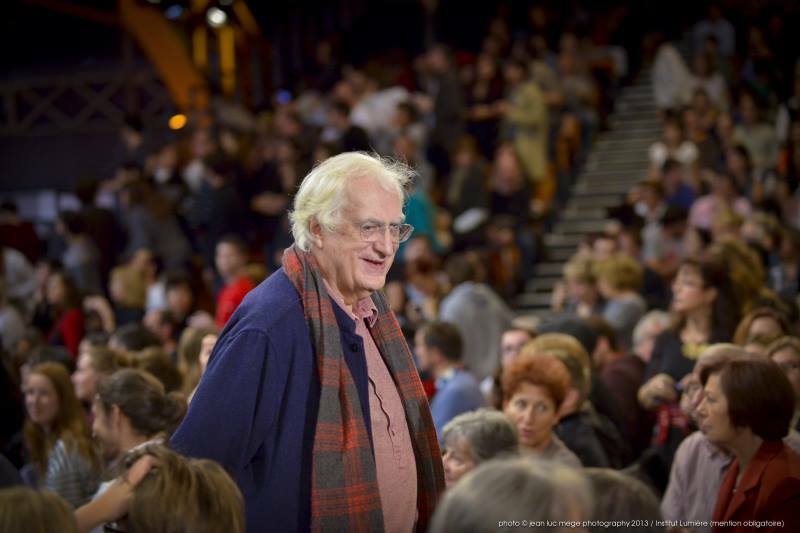 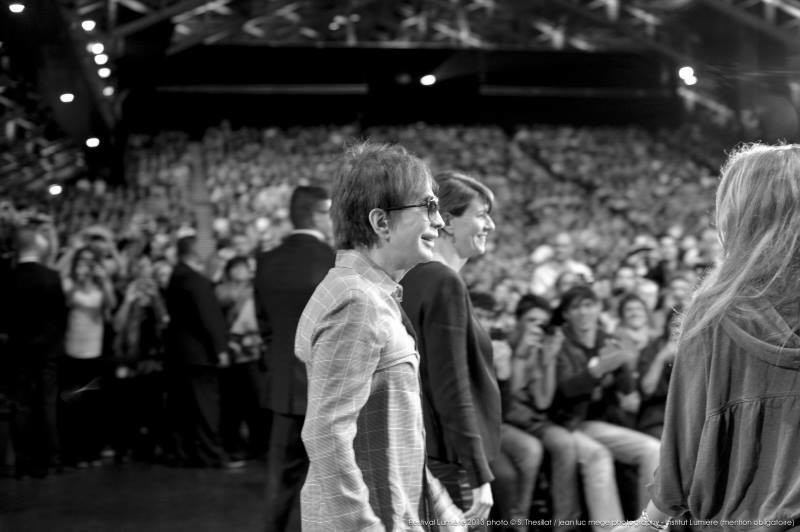 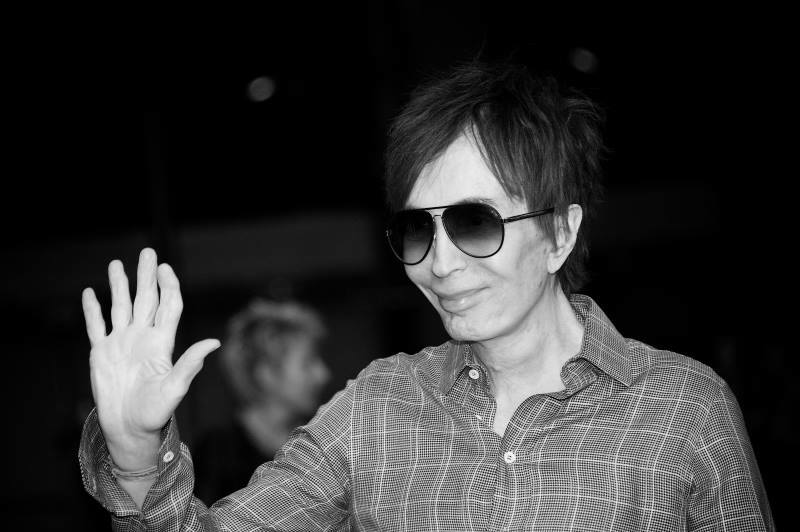 It must be noted that the festival laureate lived his festival generously, committed in full measure to all elements of the festival, from the program, to presentations and of course meetings with his fans, the public and the press. 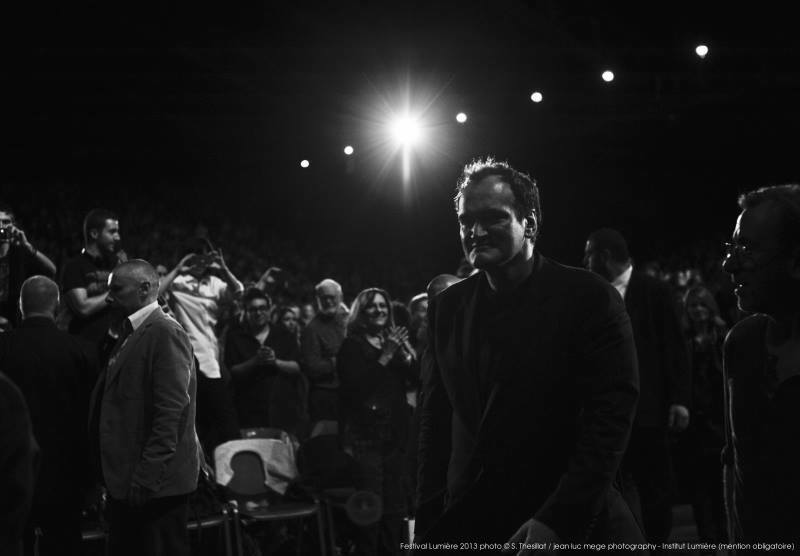 His has been a presence that won’t easily be forgotten. 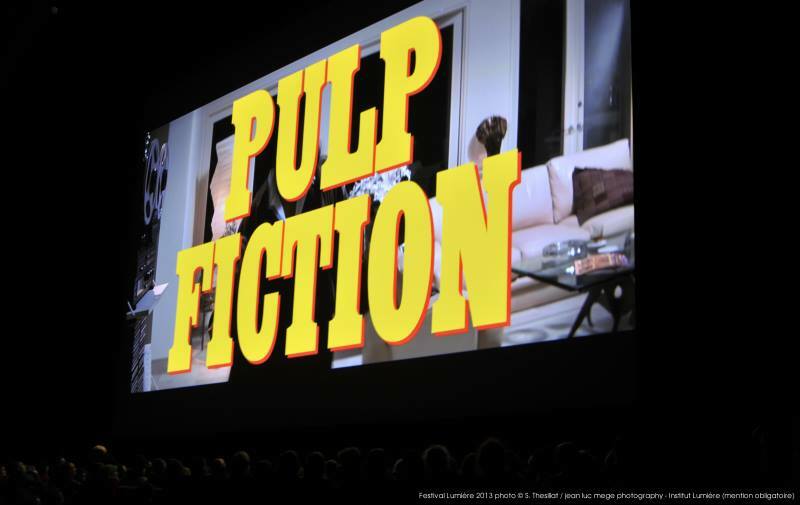 The choice of Pulp Fiction as festival closer was no coincidence; the film introduced Tarantino to a larger audience than Reservoir Dogs (which, for its part won him cult status), and it was Pulp Fiction that caught producer Harvey Weinstein’s attention. 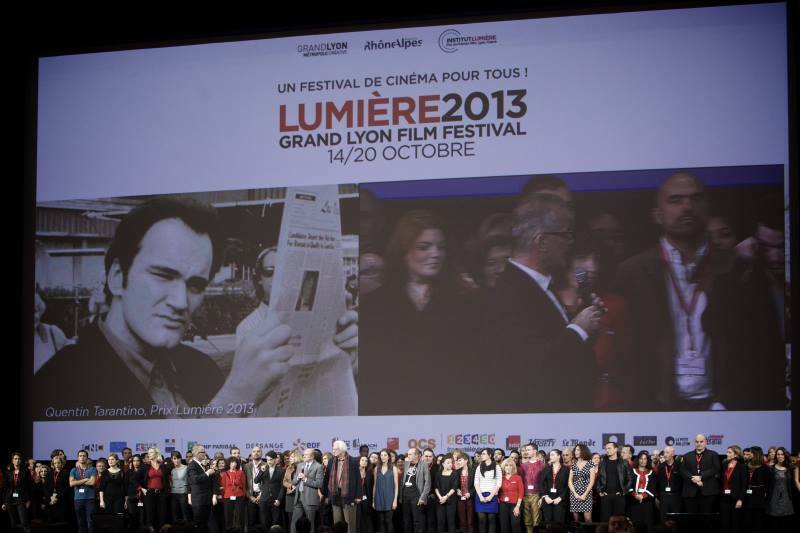 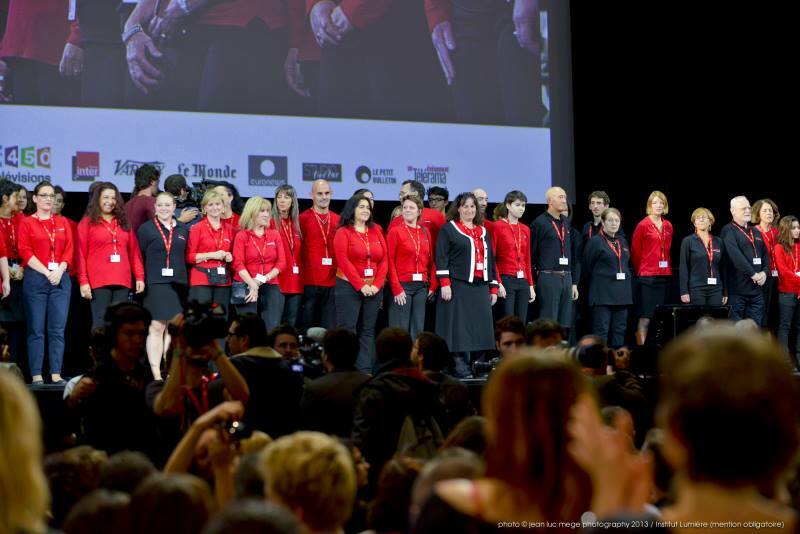 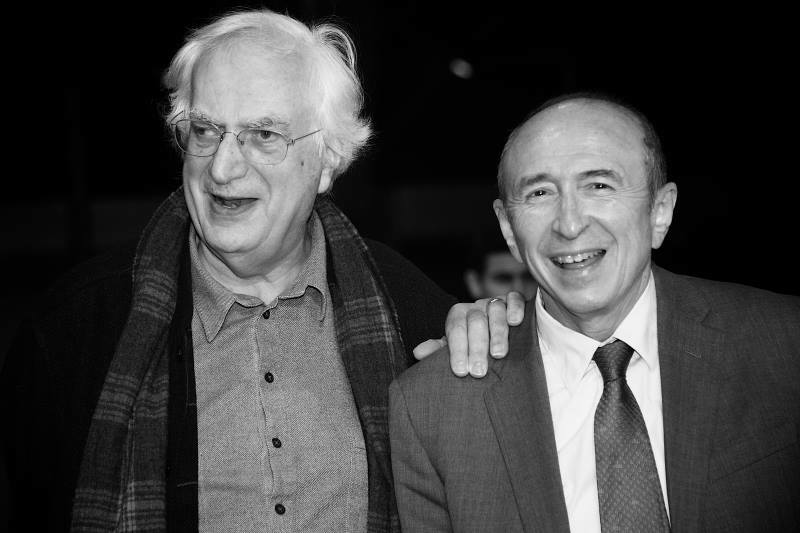 Gérard Collomb, Mayor of Lyon, renewed his support for the festival and repeated his admiration for the unprecedented performance of Lumière’s 5th edition. 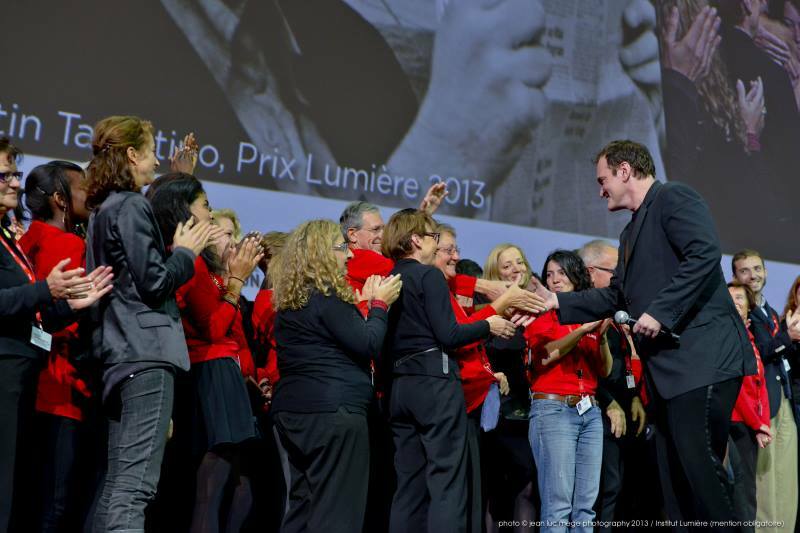 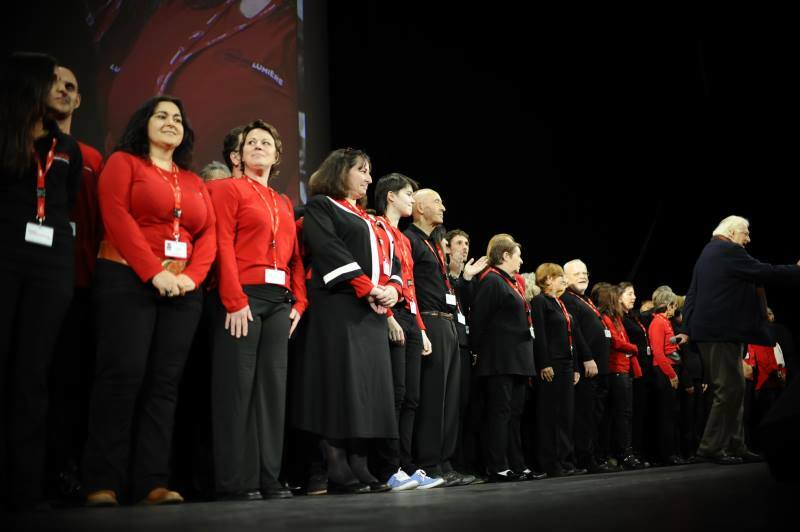 Thierry Frémaux, in the annual tradition, paid tribute to the tireless work of the Institut Lumière, inviting the team really outdid themselves this year, up onto the stage. 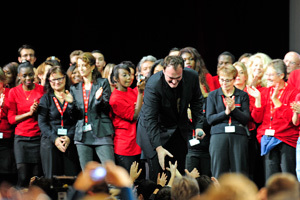 He also invited the 400+ volunteers on stage with warm thanks for their support (many of them having taken a week’s vacation just to be able to participate in the event). 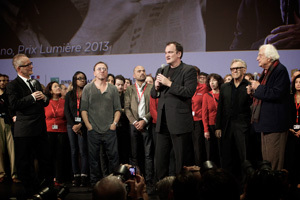 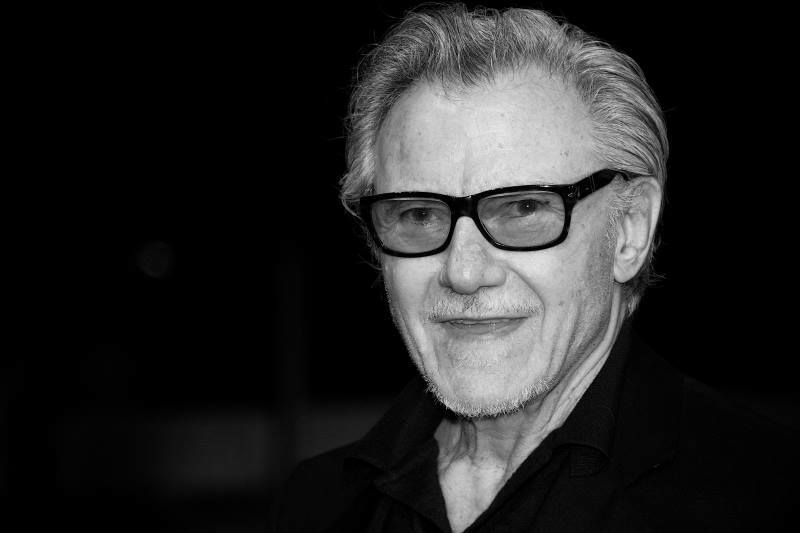 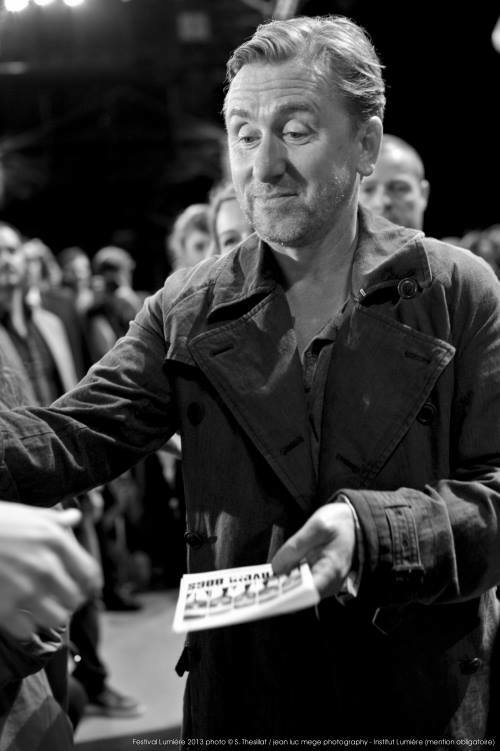 The public’s jubilation soared ever higher as Tim Roth and Harvey Keitel resolved to stay to the end and “launch” the closing film alongside the director. 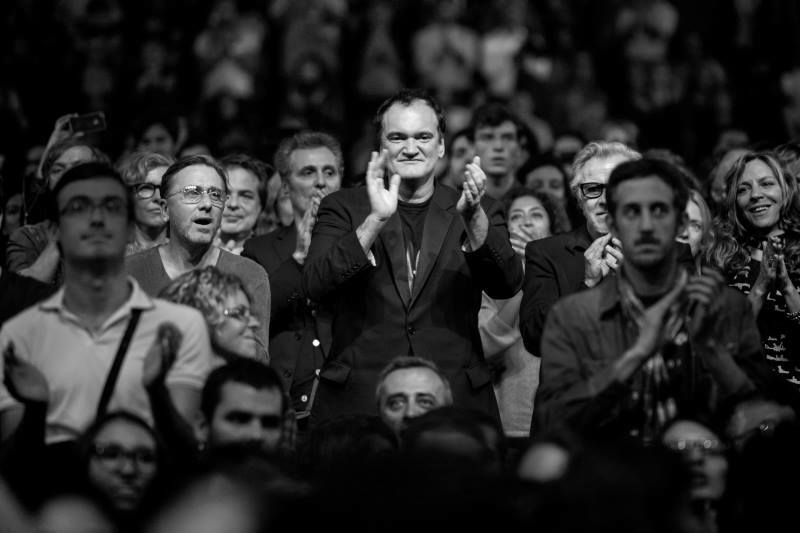 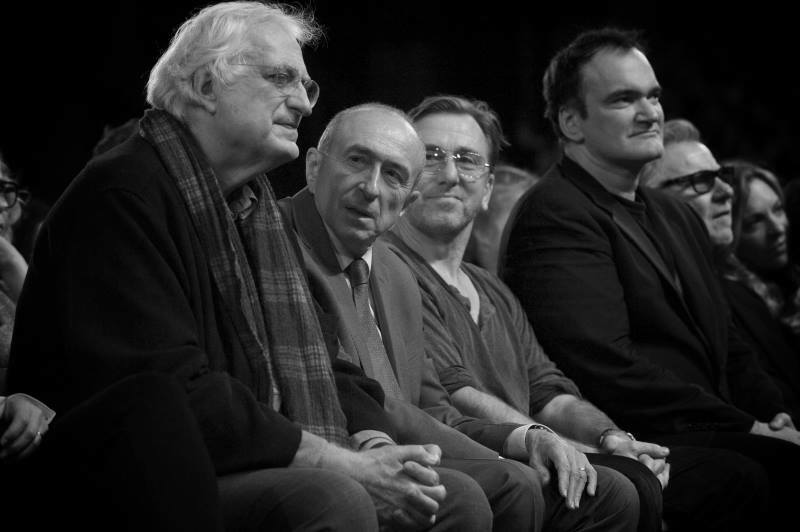 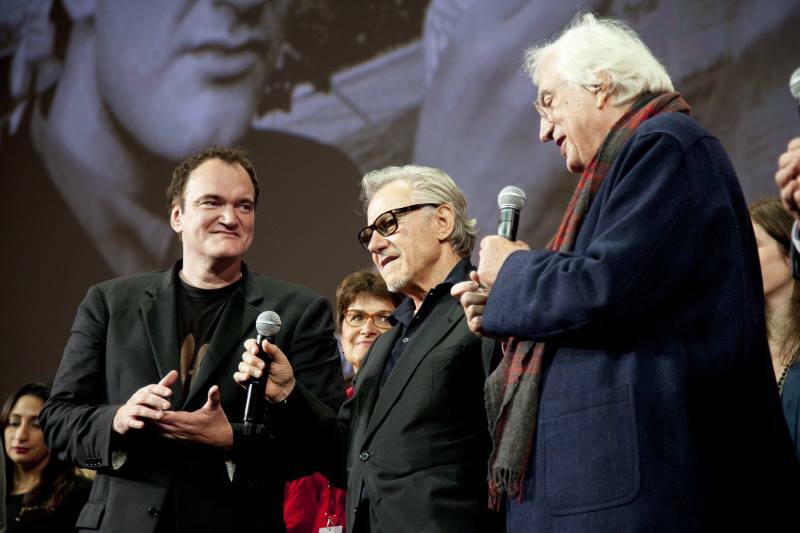 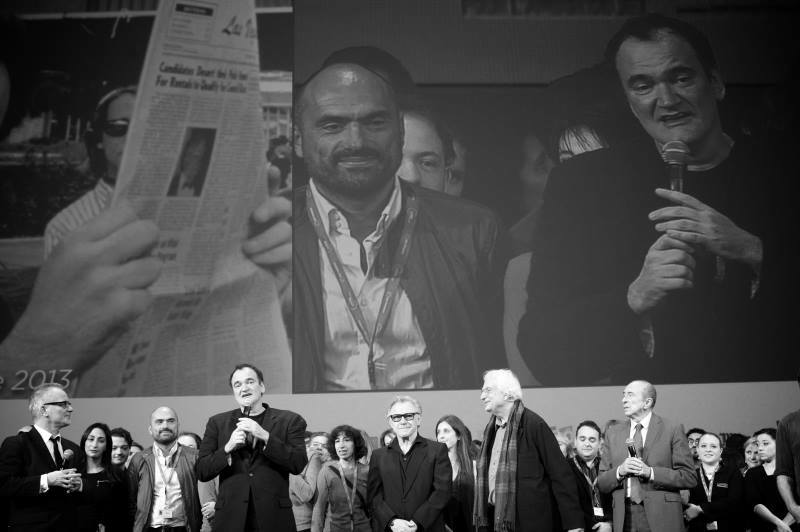 Joining Tarantino alongside Thierry Frémaux and Bertrand Tavernier, and the several hundred people who made the festival magic happen. 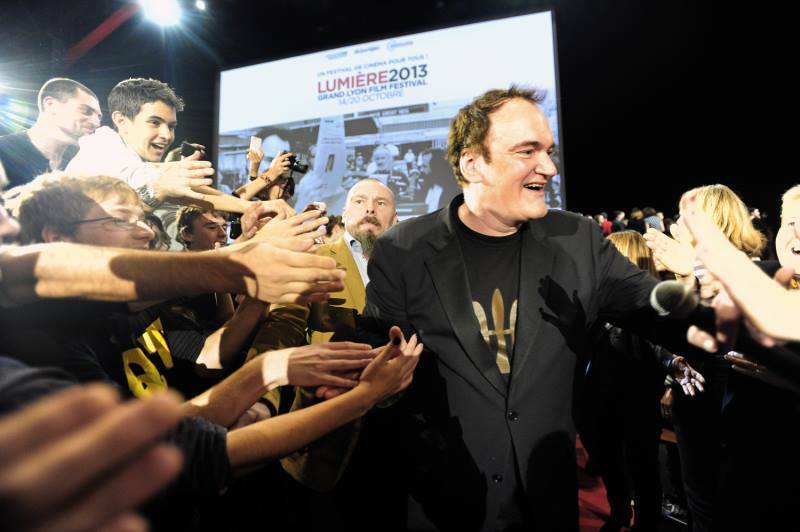 Tarantino all the while making it his mission to shake as many hands as possible.